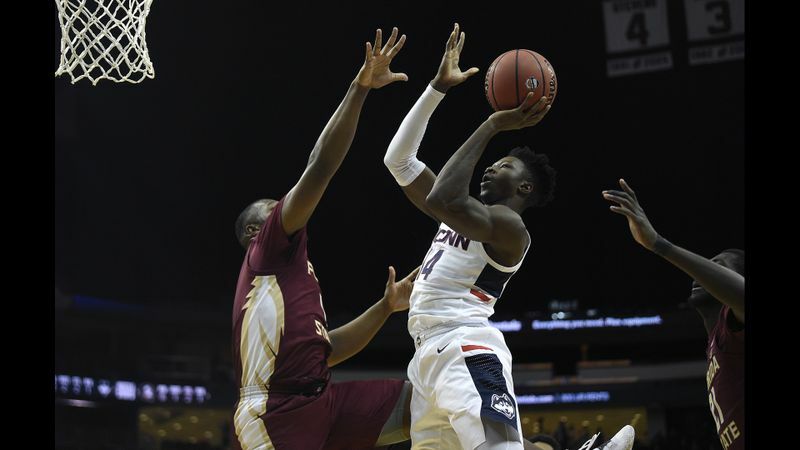 UConn fifth-year forward Kassoum Yakwe is out indefinitely with a fractured foot, the school announced Friday. Yakwe’s injury “has been diagnosed as a fracture and will keep him out of action for an indeterminate amount of time,” the school announced. “Further tests and consultation with medical staff and Yakwe’s family will determine his best course of treatment. Yakwe injured his foot during Wednesday’s early-afternoon shootaround at the Yuengling Center in Tampa and he was forced to miss the game. Yakwe, a graduate transfer from St. John’s, has appeared in 13 games for the Huskies, averaging 1.8 points, 2.4 rebounds, and shooting 50.0 percent overall in 10.8 minutes per game.